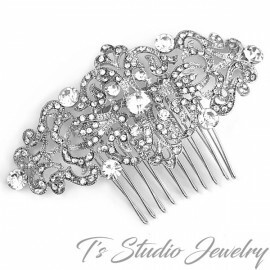 Sparkling and beautiful, this lovely hair comb is filled with dazzling rhinestones on silver plating in a floral intricate design. 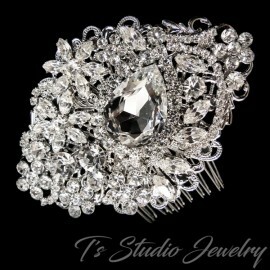 A large emerald cut crystal is at the center of the design. 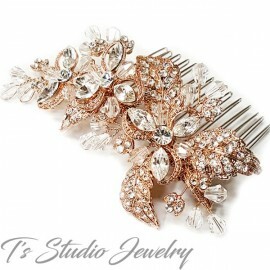 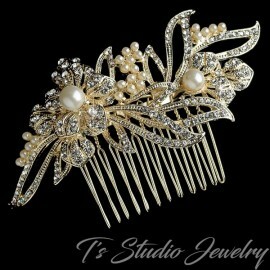 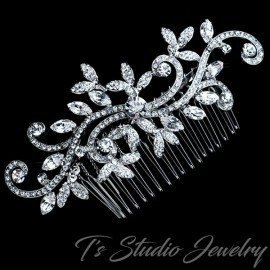 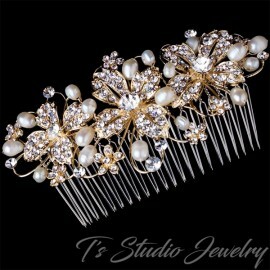 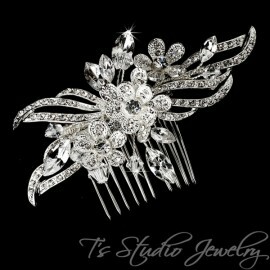 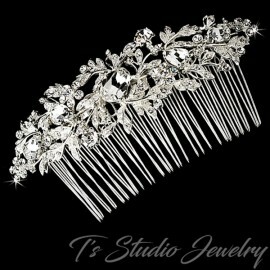 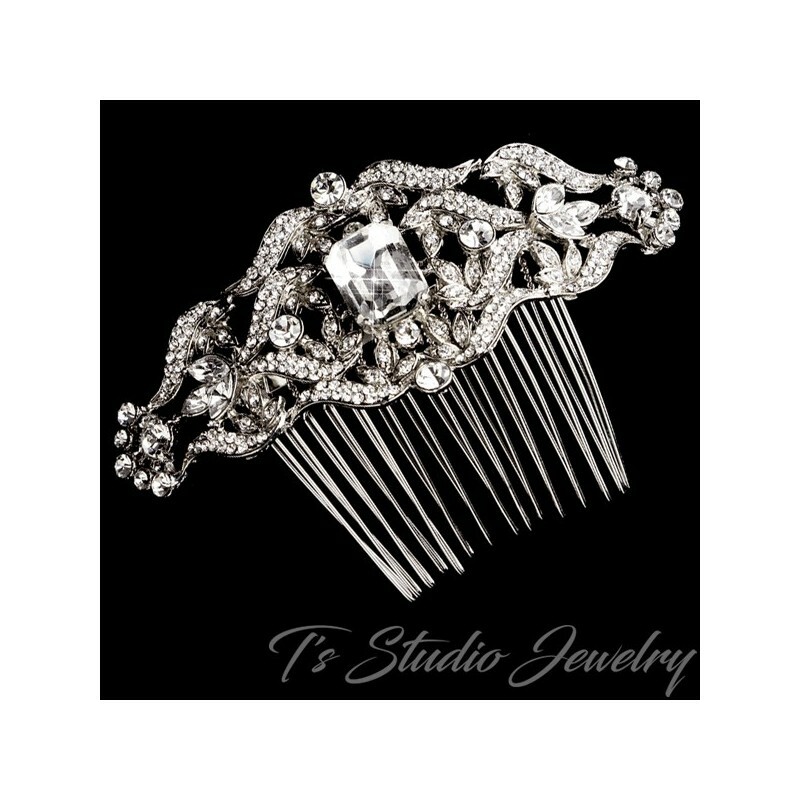 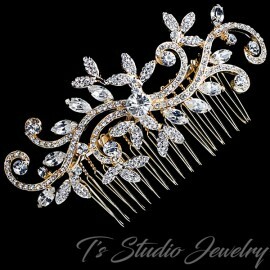 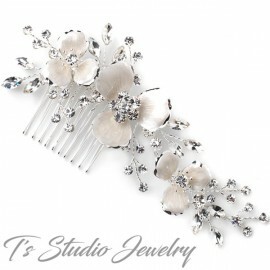 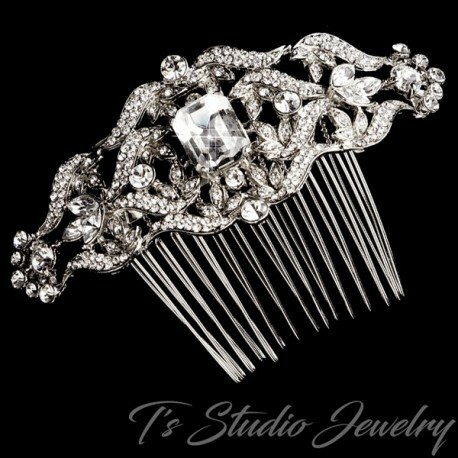 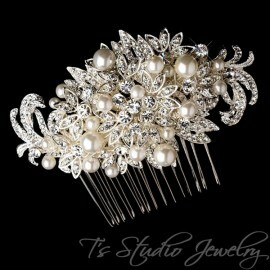 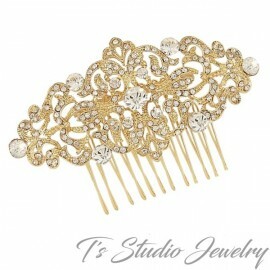 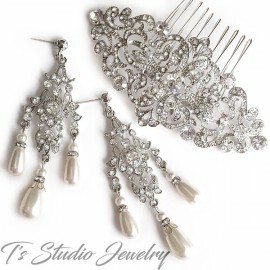 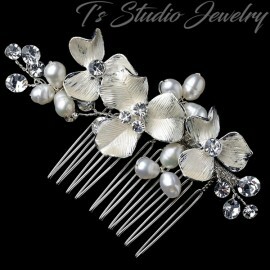 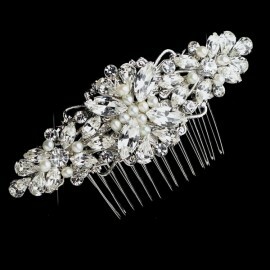 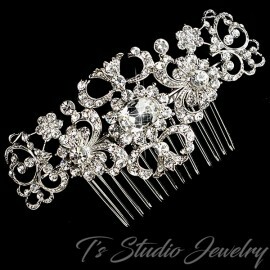 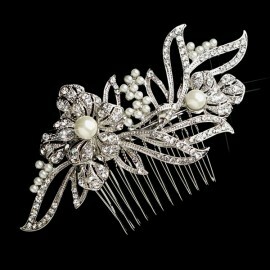 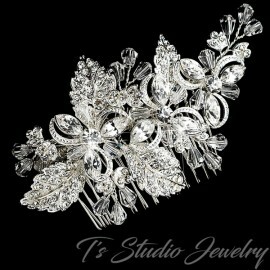 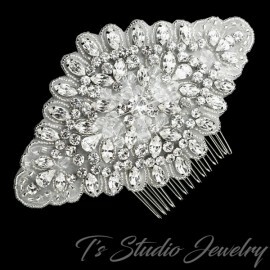 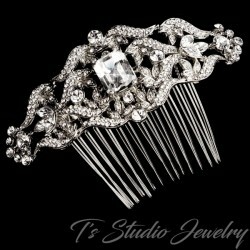 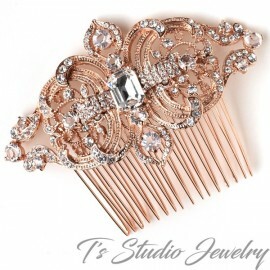 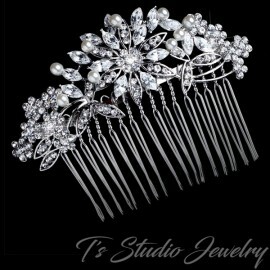 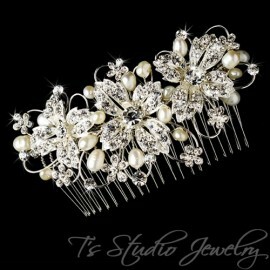 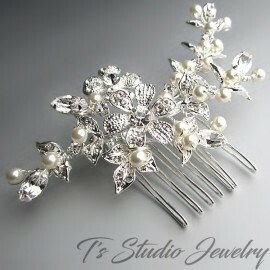 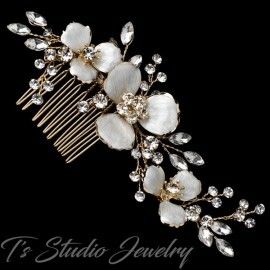 Bring a touch of glamour to your bridal hairstyle or any formal event with this striking hair comb. 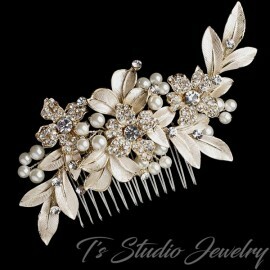 Measures 4 1/2" x 2"